We held as an official 60th anniversary event and also as a memorial event for 5 years of recovery from East Japan Earthquake "The Biggest Painting in the World 2015 60th Anniversary of Establishing Diplomatic Relationship between Saudi Arabia and Japan". We held as an official 60th anniversary event and also as a memorial event for 5 years of recovery from East Japan Earthquake “The Biggest Painting in the World 2015 60th Anniversary of Establishing Diplomatic Relationship between Saudi Arabia and Japan”. 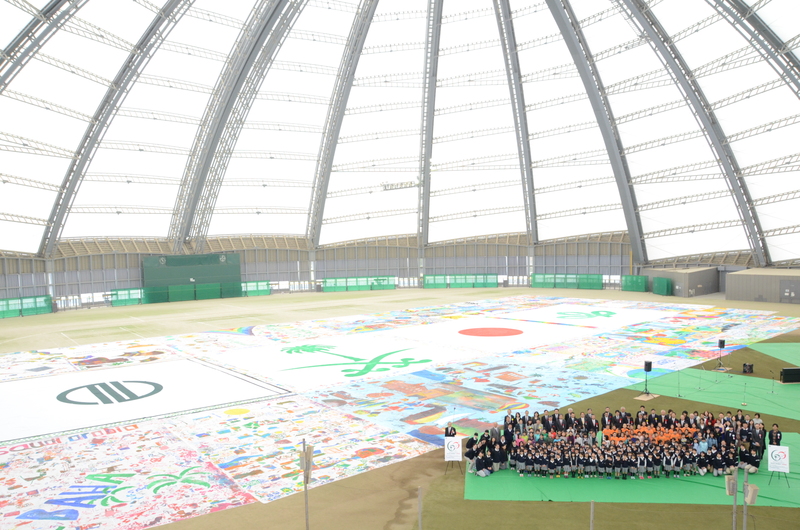 The Biggest Painting in the World 2020 Misato Town was completed at Nango Primary School in Misato Town, Miyagi Prefecture. 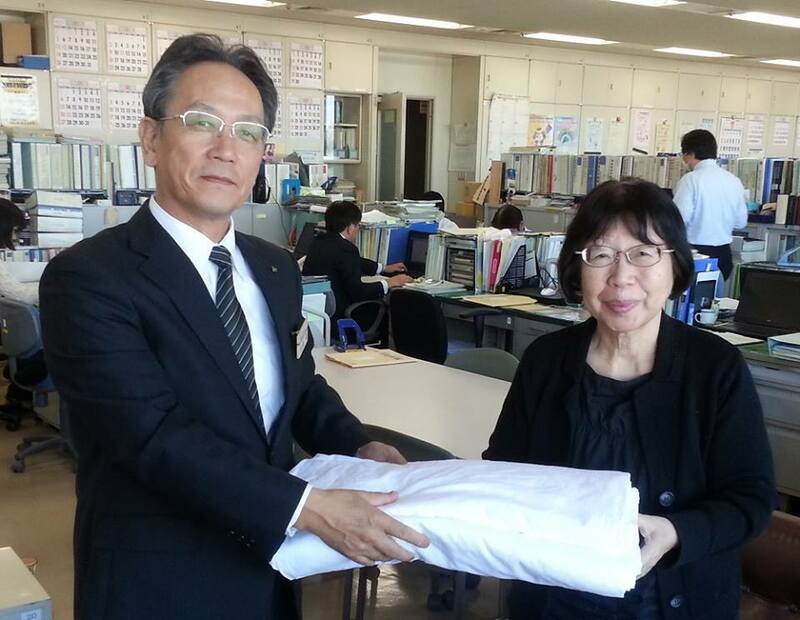 Delivered to the Department of Education of Miyagi Prefecture pieces of 5m x 5m cloth that covers 20 cities. 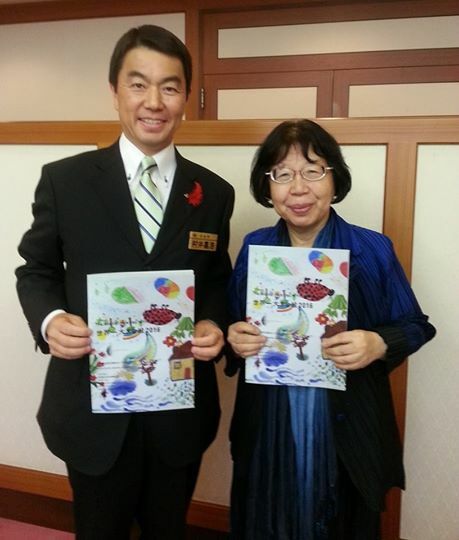 Had a chance to sit in on the prefectural assembly at Miyagi Prefectural Office. 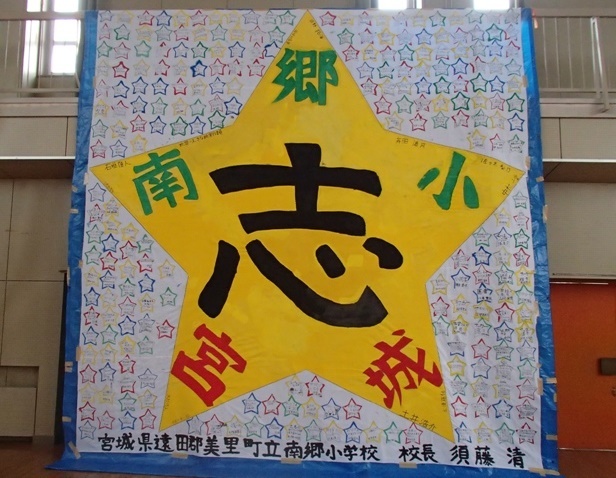 After that, we introduced the Biggest Painting in the World 2020 to the Prefectural Governor who expressed the prefecture’s commitment to the project. The Director of the Board of Education will invite 35 municipalities in the prefecture to take part in the project.